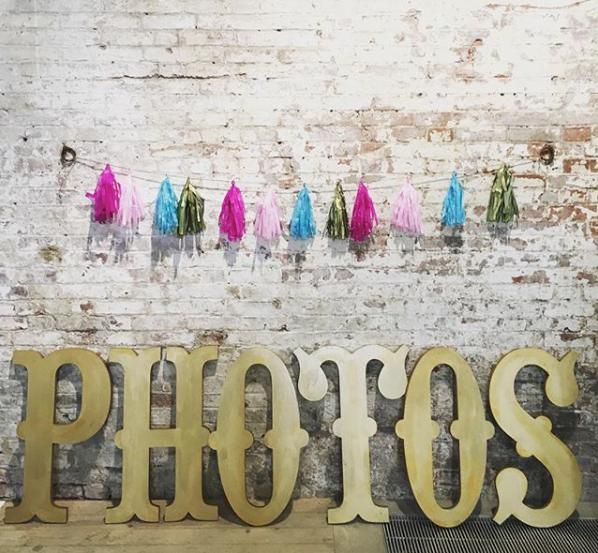 Wedding Photo Booth Hire with Snapcandy! Wedding Photo Booth hire with Snapcandy is a fabulous way to get your guests making memories at your wedding reception. 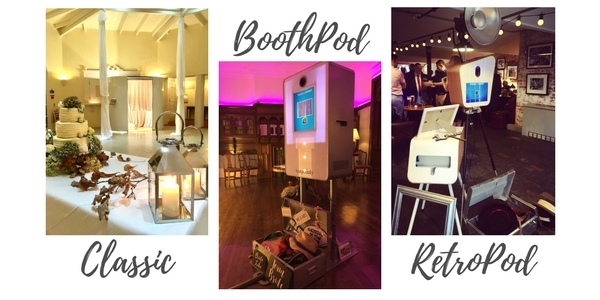 Choose the Classic Booth for a more intimate, enclosed photo booth experience or the Snapcandy BoothPod, RetroPod and new LuxePod which gets everyone involved in the fun, whether in front of the camera or not! The booths enable prints to be fully customised putting your guests in complete control of their photos. You can get two copies; one for the guests and one to keep (they make fun alternatives to wedding favours too!) You can re-take pictures and choose from black & white or colour through an easy touch screen interface. Bespoke print designs make the experience extra personal for your special day. On the BoothPod and RetroPod prints we can make these personal too and with a super cool, modern minimal design they’re a stylish addition to your wedding. We provide an array of props for your guests to have fun with and one of our attendants will be there to keep things running smoothly. We’ll work with you and your wedding venue before the big day to make sure the booth fits your needs and the style or theme of your wedding. Stylish and fun Props to use inside the booth. Want your guests to add their duplicate prints to a guestbook? We can take care of this for you. Minimum 3 hour hire. 2 hour hire available at selected venues. Classic Oval Booths in either Black or White. Our booths are not branded & will fit in perfectly at your venue. Snapcandy BoothPods have a sleek and unobtrusive design. Our new RetroPods are super cool and with the wooden finish they look fabulous in a range of settings. 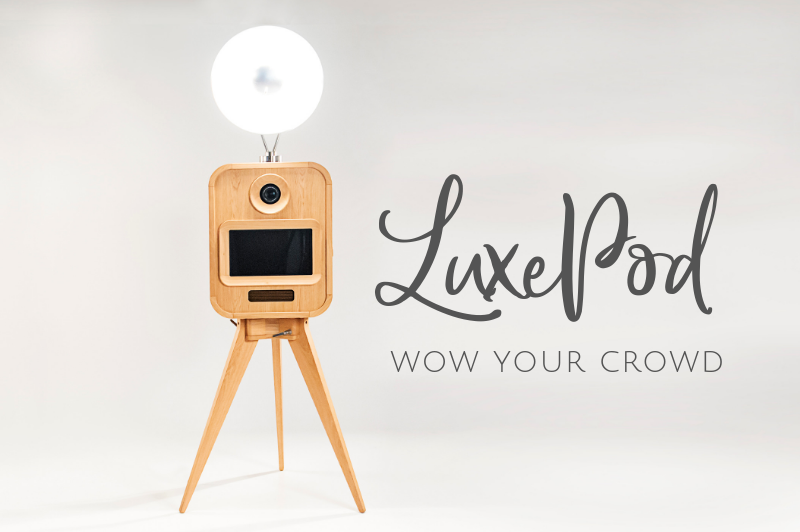 The NEW LuxePod is the worlds most luxurious photo booth experience with its sleek hand crafted design and enhanced features. Delivery, set up & take down within up to 50 miles of DE1 (travel charges may apply outside of this area). Please ask us for more information about which backdrops are available with the Classic Booth. 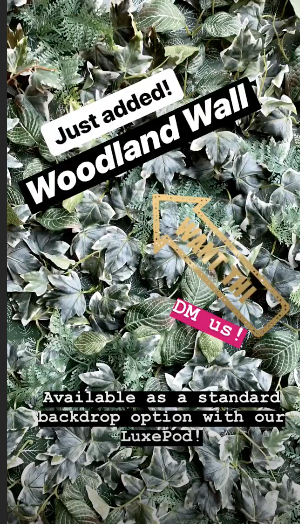 Premium Greenery and Woodland Walls are also now available to hire either on their own or as part of a Photo Booth package! 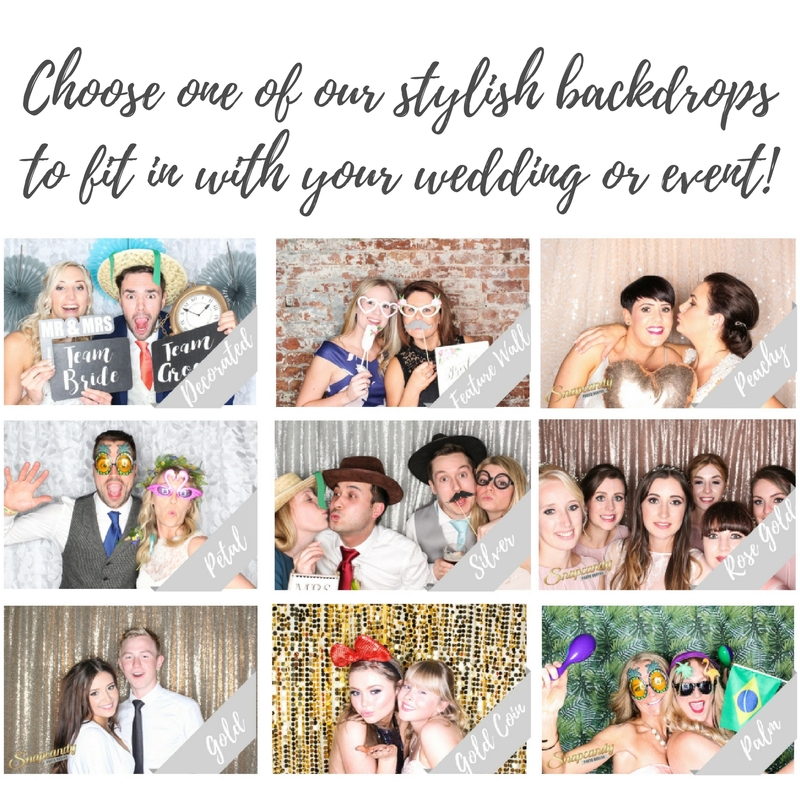 Unique Photo Booth prints for your unique celebration! 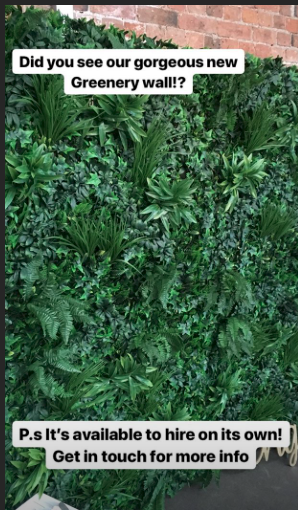 Bespoke backdrop colours and patterns are also available on request. We understand that total confidentiality is a necessity for some clients, that’s why we provide a discreet, locked down service for when your Wedding must remain truly private. Social media integration is always optional and you can chat with us about how we’ll handle your images after the event. You must notify us if full confidentiality is required, so contact us now and we’ll be happy to discuss the lengths we go to to ensure we maintain your privacy before, during and after your event. Contact us now to find out more about Wedding Photo Booth hire for your special day!